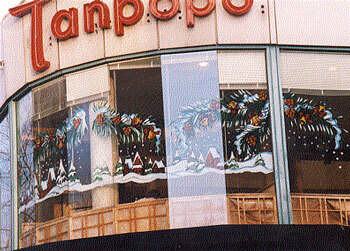 Tanpopo Windows on Deman Street in the West End. 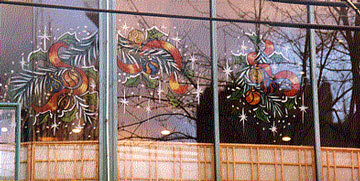 For some business it becomes tradition to continue to use window painting to decorate the inside and outside of their establishment. Here we use the beautiful corner facade to draw attention to the second story restaurant.